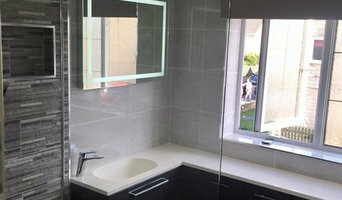 Bathroom Renovations Dublin are expert bathroom designers and fitters based in Dublin. We pride ourselves in bringing the bathrooms of your dreams to life. We work on new builds and also complete bathroom renovations work. With over 20 years of experience, our reputation has been built on our quality workmanship and attention to detail. From start to finish, Bathroom Renovations Dublin takes care of your entire bathroom work from design to completion. Bathroom and kitchen refurbishment company based in Ballymount. Refurbishment from concept to completion. 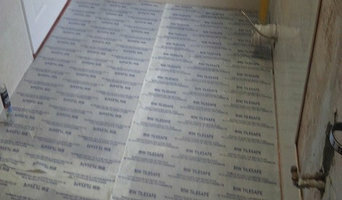 We design and supply wetrooms, wetroom drains and all products for installation. We are based in Dublin but are happy to work all over Ireland. O’Connor Carroll Bathrooms Tiles Stairlifts are based in Ballymount with a 4000ft2 facility of offices, bathroom showrooms as well as additional warehousing. 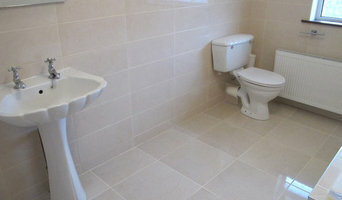 We also have a large bathroom showrooms in Glasnevin. O’Connor Carroll was founded in 2005 based on many years’ experience in bathrooms building. We build hundreds of bathrooms of every description each year. O’Connor Carroll is also one of the largest installers of stairlifts in the Dublin and surrounding region. O’Connor Carroll Bathrooms Tiles Stairlifts currently have a team of 14 people and a primarily involved in bathroom retail sales, bathroom refurbishment as well as stairlift installation and maintenance. We constantly examine our operations and are always improving our services. 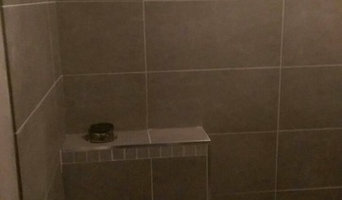 Bathroom Busters offer a bespoke design and renovation service for all your bathroom needs. We are qualified plumbers and can include a home heating package to any of our projects. Our aim is to be the leaders in bathroom renovation at affordable prices. 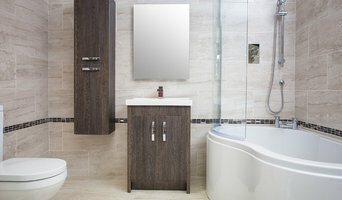 The Brighton Bathroom Company offers a unique, personalised and luxurious bathroom design experience catering for discerning and design led clients throughout Sussex. Our service is tailored to your individual requirements and is focused toward clients seeking a refreshing alternative to mainstream showrooms and a truly Bespoke Bathroom and Turn-Key solution to their project. We have delivered some of the most inspiring bespoke bathroom projects for our clients (Please see our Gallery) and truly believe we provide a unique and original approach unrivalled in the local market. We are experts at listening and interpreting our clients requirements and then providing unique and original solutions which result in breathtaking bathrooms for our clients to be enjoyed for years to come. We are a solution provider and pride ourselves in going above and beyond in all aspects of the design, specification and delivery stages and employ the services of specialist design professional who use the latest software to provide a stunning concept for your bathroom. Letta London defines the luxury modern, contemporary and traditional market in bathroom design and made to measure wardrobes. We offer complete package for any residential or commercial project with bathroom furniture, bathroom faucets, porcelain tiles, or made to measure bespoke wardrobes and joinery. Our London showroom is found on the 762 Finchley Road, NW11 7TH in North London just a few minutes’ walk from the Golders Green tube station. We are open 7 X DAYS A WEEK. At Letta London we care passionately about helping our clients create their own unique bathroom space and made to measure wardrobes of their own style. Our dedicated and helpful sales team will welcome you in our State Of Art North London showroom to discuss your requirements. Our vast 25 years experience in the business includes working closely with many of the leading interior designers, manufacturers and architects during numerous different and some of the most interesting projects, which ranged from major property developments all the way to luxurious mansions in the United Kingdom, Europe or other parts of World. We have exclusivity to many leading manufacturers products, which we proudly display in our London showroom. This allows us to offer lavish designer products at most affordable prices. Our, strive for perfection is reflected via our exceptional level of customer services and the incomparable quality of our products which we always tailor to customers budgets and designs. Ordinary products would never do for our Letta London clients. Our exclusive range of products are manufactured from the finest materials while the latest technology and techniques were part of the manufacturing process. Due to our successful partnerships our product range is sourced from the most world-renowned manufacturers based in Italy, Germany, Czech Republic, France, Belgium, Switzerland, Spain, Ireland and others. Our range of elite products available at our new London Showroom covers everything from bathroom vanity units to sanitary ware, brassware, tiles, bathroom accessories, fitted bespoke wardrobes and many other products. At Letta London we are confident that we can provide individual freedom where your preferences and furnishing dreams can come true while we cater for all style demands, from Art Deco to traditional, hyper-modern, industrial to contemporary. Director Ben Setterfield, leads a professional, friendly and conscientious team who are ready to realise your vision of the perfect bathroom. We focus on creating bespoke designs tailored to every client's needs and personalities. The bathroom has become such an important space in today's home that it's time to dedicate the time and design skill to make it a special sanctuary of relaxation, luxury and forward thinking technology.